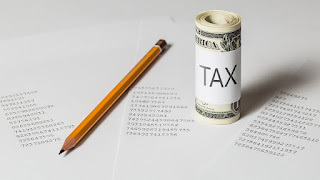 Home / saving / wealth101 / U.K. Focus: charitable donations but are you claiming the tax savings? U.K. Focus: charitable donations but are you claiming the tax savings? As you may be aware from news and radio stations in the U.K. the 31 January 2017 is a deadline date for making tax payments for the previous tax year. The previous tax year includes any income earned between 1 April 2015 until 31 March 2016. Just to reassure you, for most people the 31 January deadline is irrelevant. This is because if you're like most people you only earn your income from your employer and happily for you, your employer sorts out all of your tax and pays it on your behalf via the PAYE system. 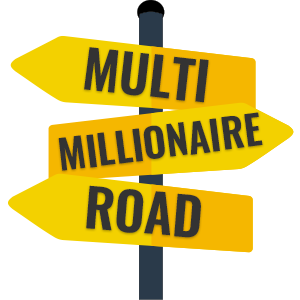 However, this is multimillionaireroad.com and we love discussing ways to increase your income outside of your normal 9-5 job. Knowing a little bit about how the tax system works in your country can be a great help. We always want to grow our income and wealth, whilst still paying all the tax that we owe. As I'm starting to earn more than I used to, I've started to make contributions to charity. I have decided to make this a regular occurance. Have you ever seen the tick box when you're making a donation that says something like "tick here for gift aid"? Gift aid means that the tax man in the form of HMRC will top up your charitably contributions by the basic rate of tax i.e. 20% assuming you are a tax payer. This process happens automatically and without the need for you to do anything apart from tick the box when making your donation. Gift aid is a great scheme, however, if you're a higher rate tax payer did you know that you can claim back your donations in order to reduce your tax bill? Many people do not realise this and make the false assumption that it's all covered by gift aid. Let's take a quick example. Assume that you gave £1,000 to charity this year and you're a higher rate tax payer. The charity claims gift aid and assumes that you are at least a basic rate tax payer, making your donation £1,250. However, as you are a higher rate tax payer you are able to claim the additional 20% marginal tax relief available to higher rate tax payers who pay tax at 40%. This means that your tax bill is reduced by £250. Brilliant right? But not so brilliant if you aren't taking advantage! How do you claim tax relief on charitable donations? Claiming this discount to your taxes couldn't be any easier. It doesn't require any accountants, any specialist knowledge or even any form filling. Whenever you make a charitable donation all that you have to do is to call up HMRC (the phone number is on their website). When you're asked what your query is just ask for a change to your tax code. When you reach an advisor in this department, tell them about your charitable donations. The reduction to your future tax bill will happen automatically. HMRC will get in touch with your employer who will make the relevant changes to your payslip....and hey presto you've saved yourself some cash!